Our ministry exists to bring children into age appropriate WORSHIP where they can BELONG to the family of God, GROW in their relationship with Christ, learn to SERVE and then go SHARE Christ in the world! Saddleback Kids is the name of our Children’s Ministry at Saddleback Church and is led by a team of staff and volunteers whose passion is children and whose vision is to “Connect Kids to God and to Others”! Our goal is to provide a fun and interactive program tailored just for kids no matter what age and grade to help them know Jesus and grow spiritually as they build meaningful relationships with other children and adults! Read our FAQ to learn more. Visit our official website to learn more about Saddleback Kids, what we are up to in the community, and how to come be a part of it! Our weekend services are designed with children in mind! Each child is taught in an age-appropriate environment. From Nursery to grade six our desire is to see each child be cared for in an individual way. Each of our Saddleback Kids leaders has been through an extensive orientation process and has been screened to work with your child. From loving care in the nursery to radical music in "The Edge," your child will be cared for and taught God’s Word in a safe, loving and encouraging environment. Kids Small Groups (KSG) is a mid-week discipleship program for the children of Saddleback Church in Pre-K through Grade 6. Working through “The Journey,” our discipleship curriculum, your child will focus on developing a relationship with Jesus, learning what it means to be a part of the church family and connecting with their peers and leaders. All of this is done in a consistent small group atmosphere – same leaders, same kids and same day/time each week. Bible study and life application. Crafts and games that relate to the lessons. Worship through music and singing. Prayer requests and group prayer. Matt Hall was born and raised in Southern California. He earned his bachelor's degree from California State Polytechnic University, Pomona and has also studied at Gateway Seminary. Prior to becoming the campus pastor at Saddleback Santa Rosa, Matt served in Saddleback Student Ministries at the Lake Forest and Irvine South campuses for 17 years. Matt is passionate about reaching people with the love of Jesus, getting them connected with a church community, and helping them discover God’s purpose for their lives. Matt’s wife, Natalie, grew up in the Philippines and had a dream to return to the Philippines one day to live out her ministry calling. In 2017, that dream came true as God called Matt and Natalie to lead Saddleback Santa Rosa. 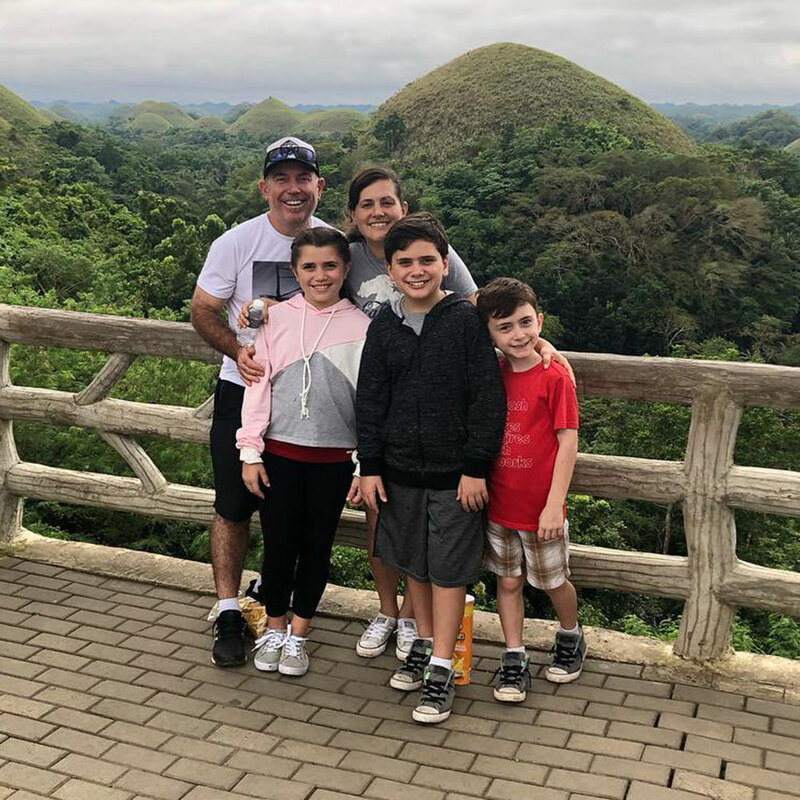 In his free time, you can find Matt enjoying sports in the great outdoors and spending time with his wife, Natalie, and three children: Malakai, Nyomi and Isaac.